The CRA works hard to put the “community” in redevelopment. Part of that responsibility involves partnering with small, local and diverse businesses whenever possible. 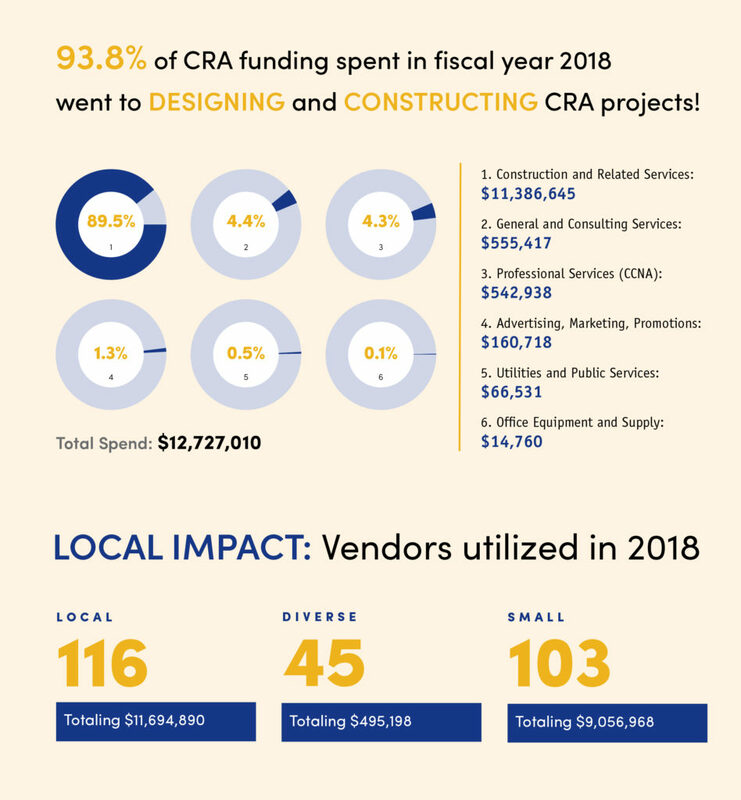 Most CRA funds are spent on construction-related expenses, so the team tends to search for those services above all else. It’s easy to become a registered vendor or service provider with the City of Gainesville’s CRA. Simply download and email the attached PDF to info@gainesvillecra.com to register. Attend community workshops and follow the CRA’s news page to learn about opportunities to do business with us.